In my last post, I pointed out why you can’t rely on exercise alone to lose weight. 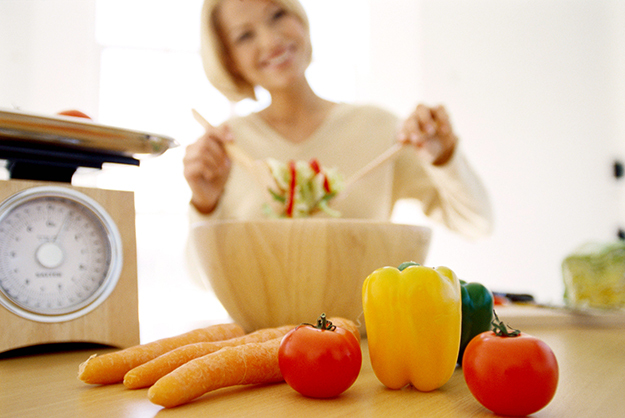 It is clear that your food choices have a significant impact on your weight and need to be properly managed. This can be difficult for a number of reasons. Maybe you’re too distracted with other areas of life. Maybe you have been taught bad eating habits. Maybe you are so busy catering to your loved one’s needs that you overlook your needs. Whatever the reason, most people can agree that their kitchens are stuffed with foods that aren’t healthy or productive for weight management. You see, it’s human nature that when food is in your possession or readily accessible, it will eventually be consumed. Even if you don’t want to or know that you shouldn’t eat it, you eventually will. The convenience factor is too high to be denied. So how can you fix this problem? If you want to be healthy and lean, you must remove all foods that aren’t part of your healthy nutrition program and replace them with a variety of better, healthier choices. I’ll offer some simple strategies to help you take out the garbage and make your kitchen more diet friendly. 1. Low-fat eating does not mean healthy eating. Foods that are labelled as “low-fat” usually contain large amounts of added sugar ( so it’s palatable). It also means the food has undergone further processing which can degrade its quality. Fats in whole foods also help in the digestion and assimilation of the key nutrients that reside within the foods. 2. Grocery shop more often. There is no doubt that nutritious food spoils fast. Food that can be frozen or stored for months is certainly an attractive alternative. These foods (with the exception of frozen fruits and vegetables) are usually heavily processed and don’t offer anywhere close to the nutrient potency of their fresh counterparts. Try to shop every three days or so. If you don’t live close to a whole food market then consider starting a garden. Fresh food tastes better and is better for you. 3. Don’t buy food in bulk or economy sizes. If you have a large family or hate grocery shopping then chances are you’re shopping at Costco and buying all the boxed food and sauces that you can fit in your cart to prepare for the next Great Depression. This is a common practice of “routine eaters”. Those who eat only three types a food all year round. They can go to the grocery store and mindlessly buy the same things year in and year out. Where’s the variety? You need spectrum of nutrients in your diet and your can only acquire these with a spectrum of food choices. Don’t tell me that buying in bulk is cheaper. I just bought fruits and vegetables for five days for under seven dollars; and I’m an over 200 pound man. Fresh food can be affordable if you take the time to look around. 8. Don’t hesitate to throw out leftovers or foods you’ve received as gifts. No one hates to throw away food more than I do, but if it’s garbage for your body, then it’s garbage, throw it away! If you have most of these already in check then you’re already ahead of the game. You may just need to refine your habits a little bit. Either way, never approach any diet or exercise plan without implementing most (if not all) of the points on this checklist. Your results will reflect your diligence. Get rid of all the foods listed in #4 and 5. Put everything in a bag and leave it out for the local sanitation crew to deal with. You could also make donation to your local food bank. Go shopping and buy as many things from # 6 and 7 as possible. Smile, because you’ve just taken the most important step in transforming your body and life. This is a great blog you run, Im interested in some recipes you would recommend for a busy person to quickly put together to maintain a healthy diet while still being time conscious.